State Wise details of the Coal Mines already auctioned along with the first installment of upfront amount received are given in the Table below. 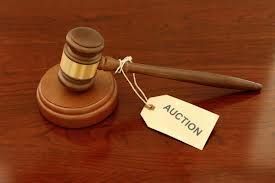 * Successful Bidder has been appointed as Designated Custodian due to a court case. ** Successful Bidders have filed court case and not submitted Upfront Amount yet. This was stated by Sh. Piyush Goyal, Minister of State (IC) for Power, Coal & New and Renewable Energy in a written reply to a question in the Lok Sabha today. Coal mines included in Schedule-II of the Coal Mines (Special Provisions) Act, 2015 were operational. Ministry of Coal has taken proactive measures to ensure that statutory clearances including Environment and Forest Clearances by the Ministry of Environment, Forests & Climate Change are transferred to the successful bidders and allottees expeditiously. This was stated by Sh. Piyush Goyal, Minister of State (IC) for Power, Coal & New and Renewable Energy in a written reply to a question in the Lok Sabha today. So far, out of a total of 67 coal mines successfully auctioned and allotted, Vesting / Allotment Orders have been issued in respect of 45 coal mines. Out of these 45 coal mines, Environment Clearances has been transferred in favor of successful bidder/allottee for 37 coal mines. As regards Forest Clearance, the same has been transferred in favor of successful bidder/allottee of 25 coal mines. In respect of 7 coal mines, no forest clearance is involved and in respect of 5 coal mines, transfer of forest clearance is not required as the Prior Allottees are the Successful Bidders / Allottees. The Minister further stated that the Central Government has taken up the matter of expediting various clearances with the concerned coal bearing State Governments and has been regularly pursing with the authorities concerned with the objective of brining the successfully auctioned / allotted coal mines into production as soon as possible. The new Inter-Ministerial Task Force (IMTF) constituted by the Government in June, 2014 has submitted its Report to the Government recommending a three-step approach. The recommendations inter-alia include rationalization of linkage sources for 19 Power Utilities (PUs) in Stage-I by swapping linkage coal between different coal companies to optimize distances and maximizing despatches of coal. This was stated by Sh. Piyush Goyal, Minister of State (IC) for Power, Coal & New and Renewable Energy in a written reply to a question in the Lok Sabha today. In Stage-III, a stepwise approach to achieve further rationalization has been recommended by IMTF by identification of clusters which would result in net reduction of the overall costs, and can be effected with consent of the Gencos/States. The Minister further stated that IMTF had obtained views of the State Governments/State Power Utilities in the meetings held from time to time and views/inputs expressed by them were taken into consideration before finalization of the report. As per the status of implementation of recommendations of IMTF, out of total 19 TPPs recommended for rationalization by Task Force in Stage-I, Coal India Limited(CIL) has executed Fuel Supply Agreements (FSAs) with 14 TPPs which have resulted into 16 new FSAs at subsidiaries of CIL for a quantity of 18.224 MT. Under Stage-II rationalization, one swap of domestic and imported coal has been successfully implemented between NTPC and GSECL, the Minister added. The Government has launched The Economics of Ecosystems and Biodiversity TEEB-India Initiative (TII) to highlight the economic consequences of the loss of biological diversity and the associated decline in ecosystem services. The Initiative focussed on three ecosystems, namely forests, inland wetlands and coastal and marine ecosystems. TII has been implemented under the Indo-German Biodiversity Programme as technical cooperation with GIZ. The outcome of the pilot projects will be fed into the sectoral synthesis for the three ecosystems. It will be released at the Brazil-India-Germany TEEB Dialogue, being hosted by India in September 2015. The overall study report will be released at the 21st session of the UNFCCC CoP being held in November-December, 2015 at Paris. A review workshop was organised here, under the aegis of TII to review the outcome of 12 pilot projects, which demonstrate the application of economic approaches to address policy issues related to conservation and sustainable management of these ecosystems. The proceedings involved presentation of the outcome of the pilot studies. The three case studies on forest ecosystems looked at ecosystem services flows from Western Ghats and application of economic approaches to human-wildlife conflict. In the coastal and marine ecosystems, the results related to effectiveness of mangrove conservation, assessment of the value of bycatch and the impact of seasonal fish ban. Within wetlands, the outcome related to economic efficiency of restoration investment and integration of ecosystem service values in land and water resources management in wetland basins. In the inaugural address, Secretary, Ministry of Environment, Forest and Climate Change, Mr. Ashok Lavasa highlighted the important role of sound ecological economics- based approaches in guiding environmental policies and programmes. He urged the initiative to provide actionable recommendations to improve effectiveness of various natural resources conservation and sustainable management efforts being made by the Ministry. Mr Lavasa chaired the workshop jointly with Dr Kirit Parikh, Chairman of the TII Scientific and Technical Advisory Group. Mr. H Wanken, Counsellor, German Embassy and Mr. Heiko Wolfgang (Country Head GIZ) were special invitees to the workshop. Mr. Parikh outlined the process used in selecting the pilot study sites and partners, and major outcomes that have resulted from the studies. Mr. Wanken expressed the high significance attached by Government of Germany to the overall cooperation, and the strategic nature of the initiative in making a meaningful contribution to global efforts on biodiversity conservation. The proceedings of the conference were conducted by Mr. Hem Pande, Additional Secretary in the Ministry of Environment, Forest and Climate Change. He urged the study to use innovative approaches to highlight the value of natural capital so that more resources could be allocated for their conservation. More than forty participants, including senior officers from the Ministry of Environment, Forest and Climate Change, eminent ecologists and economists from institutes like Indian Institute of Science (IISc) Bangalore, Botanical Survey of India (BSI), Zoological Survey of India (ZSI), Institute of Economic Growth (IEG), Bay of Bengal Programme – Inter-Governmental Organisation, conservation organisations like Wetlands International South Asia, International Union for Conservation & Nature (IUCN), Wildlife Trust of India (WTI), World Wildlife Fund (WWF) and international agencies like United Nations Development Programme (UNDP) and GIZ (German International Funding Agency). The two-day review workshop concluded yesterday.